Shane Walsh’s ‘Possible’ Return To The Walking Dead? 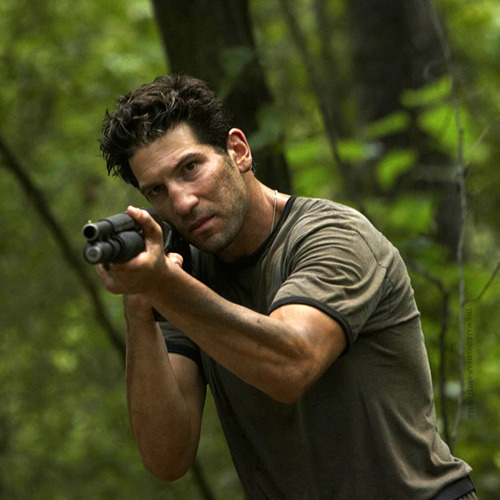 Fan favourite Shane Walsh (Jon Bernthal) was the first villain we really got to see in The Walking Dead. Half way through Season Two we saw Rick finally do what he had to do to keep his family safe. Stabbing him in the chest, Rick cried out for help whilst watching his brother bleed out. Only to reanimate a few seconds later, Carl (Chandler Riggs) puts him down. Even now in Season Nine, he’s still one of the most favourited characters in the show. And with his return in Ricks final episode, we saw that Jon can portray the same Shane we knew back then. He comes back as a hallucination to Rick, talking all about his past as well as talking about his daughter, Judith. We also know that Jon Bernthal has been doing incredibly well in one of Marvels TV Series recently that’s already confirmed for a second season, The Punisher. Jon, portrays the main character Frank Castle. And any fan of The Walking Dead that watches the show can see Shane within him, as the personality of Frank Castle shares some traits with Shane Walsh. So with Jon’s success in the past few years does that mean it’s very possible for him to return in an Origin spin-off of Shane? I certainly think it’s possible. Maybe we’ll get to see Shane see his first ever walker, and how he reacts. And how he ends up at the hospital trying to save Rick and what comes after that. Or maybe we’ll even see Shane’s family that we’ve never heard about, if he tries to go save them first. It’s definitely something I’m looking forward to hearing about. One can only hope! Let me know what you think below. I put all of my time and effort into this website. If any of you would like to buy me a coffee then feel free to do so. It’s only £3, and it would make my day to know that I’m being appreciated by The Walking Dead community.